It was Dumpling/Dragon Festival last week, it is a tradition at home to make some dumplings (glutinous rice wrapped in bamboo leaves) during the season. This year I started the festival with this Cantonese Style of Dumplings which have moong beans in it and tasted though different than the type of Bak Zhang that I am used to and loved, it is still one of my favourites. 1. Cubed the pork belly into 10-12 equal size pieces, marinate with all the ingredients listed over night. I marinated mine together with the mushrooms. Soak the dried bamboo leaves in hot water for 10 minutes, wash and place them in cold water. 2. The next day, with a tsp of oil, stir fry the mushrooms until fragrant. 3. 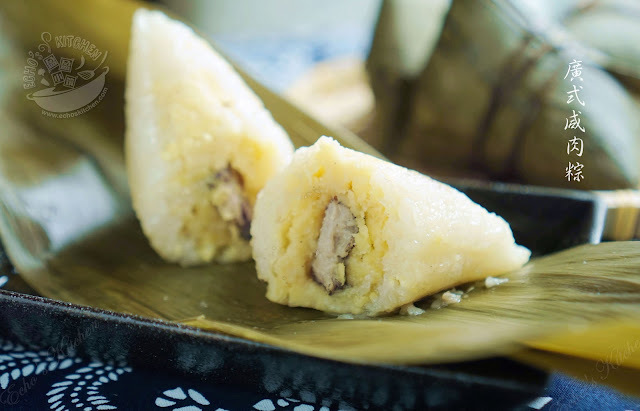 Spray or sprinkle a little cooking wine over the salted egg yolks and bake in oven at 175C/350F for 5 minutes, let cool. 4. Wash and drain the moong beans and add all seasonings listed, mix well. 5. 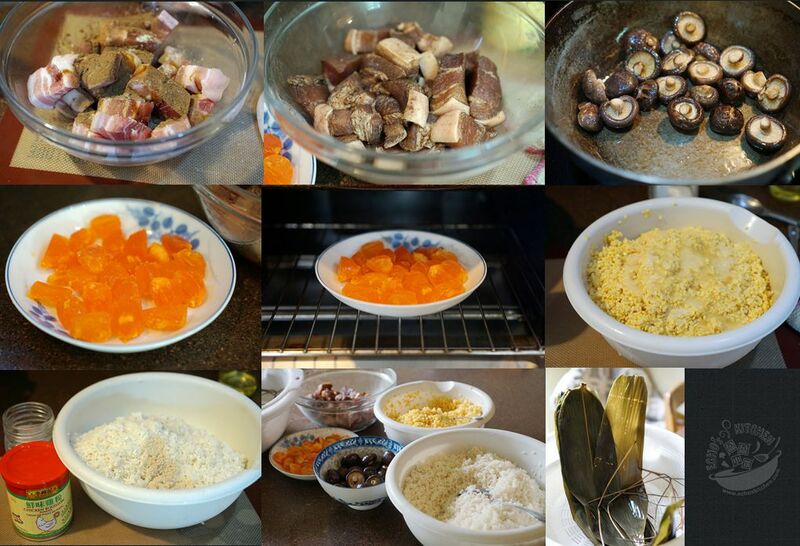 Wash and drain the glutinous rice, add all seasonings listed, mix well. 6. 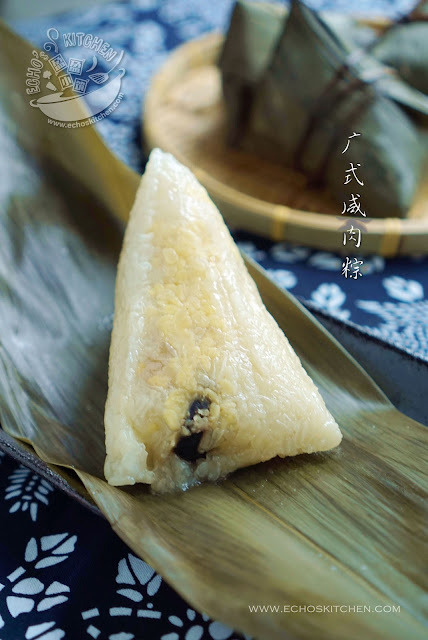 Wrap the dumplings in long tetrahedron shape (also called the Southern shape). There are plenty of youtube channels that teach the method of wrapping dumplings, until I make one of my own, please refers to youtube channel for tutorials. 7. Bring 4 litres of water with 2 tsp of salt in it to boil, place the wrapped dumplings in it and cook for 3 hours at medium heat. 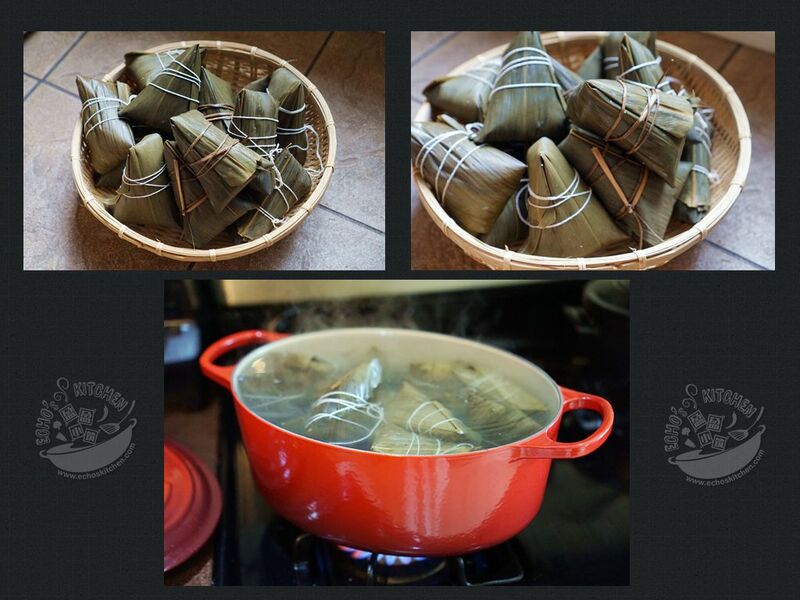 Make sure that all the dumplings are submerged in water, add boiling water in between if needed.